Many experts have raised concern that Chinese goods may be labelled Vietnamese to get preferential tariffs under some FTAs to which Vietnam is signatory. This apprehension is growing as the United States restricts goods from China. A representative from Thep Viet Steel Company forecast that if finding it hard to export products to the US and the European Union, China will boost its exports to Vietnam in large volumes, fanning fears that its cheaper steel products will flood the Vietnamese market because it has inputs for steel manufacturing while the Vietnamese steel sector still has to import inputs from this nation for domestic production. Chinese steel will also take advantage of temporary import for re-export policy of Vietnam to seek ways to the US and the EU. If it is managed to do so, Chinese steelmakers will be greatly benefited when they avoid anti-dumping duty from the EU. Meanwhile, Vietnamese steel brands will be suspected of anti-dumping when they export steel to the EU market, resulting in unfair investigations and disreputation on the world market. This worry is also seen in agricultural products, garments and textiles, leather and footwear. 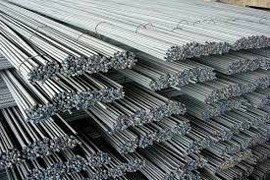 A representative of the Vietnam Steel Association said that not only occupying the Vietnamese market with cheaper products as analysed above, Chinese steel can also make the Vietnamese steel industry involved in misfortune because after being imported into Vietnam, Chinese steel will try to be branded “made in Vietnam” origin to be exported to the US at lower tariffs. “If the US conducts investigation and finds out that Chinese steel is temporarily imported into Vietnam and cloaked the origin of Vietnam to enter the US market, the Vietnamese steel industry will be blamed trade fraudulence. Then, not only does the US impose anti-dumping duties but Vietnamese steel may face a very high risk of being banned from export to this market," said the representative of the Vietnam Steel Association. The matter not just relates to goods from the US or China but all countries and territories with goods shipped to Vietnam and forwarded to other countries," said Deputy Minister of Industry and Trade Do Thang Hai. The Ministry of Industry and Trade proposed and reported to the Government and the Government issued Decree 31/2018, effective from March 8, 2018 on detailing the Law on Foreign Trade Management of Origin Traceability of Goods and this rule also provides origin of exports and imports, applicable to traders, agencies, organisations and individuals. He noted that, with Decree 31, the Ministry of Industry and Trade issued a circular to guide the enforcement. Specifically, the Minister of Industry and Trade signed to enact Circular 05 on rules of origin of goods and declarations of origin of imported and exported goods. The ministry already approved its action programmes such as Decision 334 ratifying the plan to fight against violations in production and trading of goods like anti-counterfeit origin in localities to 2020. Besides, the ministry directed local market watchdog forces to coordinate with relevant agencies to best limit the illegal use of origin of goods for export.